I started this post with the first full day in Botswana. Because by the time we landed Wednesday night we only had time to meet a couple of great people from Open Baptist Church, check in to our hotel and grab supper before going to bed. We started our day at Open Baptist Church. You can see their logo above on the window and a cross in the back ground that Pastor Norman built. There we met some of the staff and learned a little about the history of the country and African religion. Then we had the first of many home made meals form the members of the church. Being from the south I’m used to southern hospitality, but they really know how to make a person feel welcome; Some members of our team must have put on a couple of pounds with all the great food. After lunch we were given a tour of Gaborone. 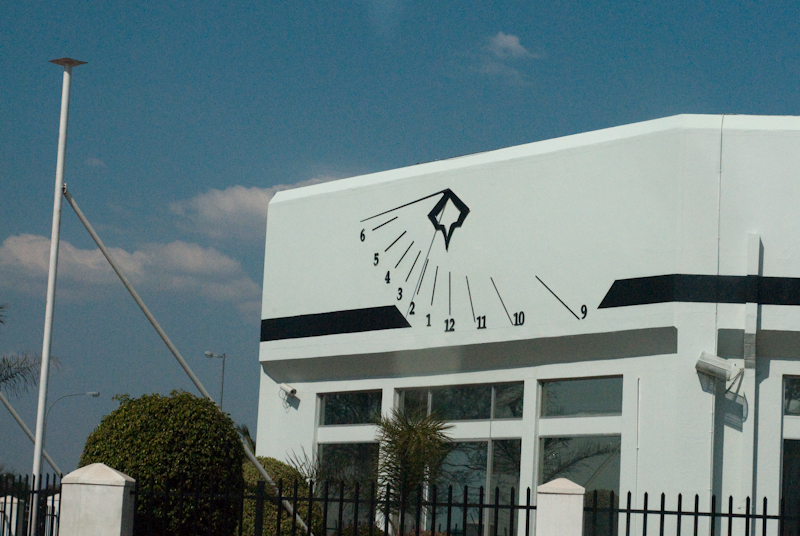 Below is the first building I ever saw with a sundial on the side. I don’t think it would work very well in Georgia, but it was a very cool thing to see. We had the opportunity to stop and shop at an open market. There were many stands selling good and services. 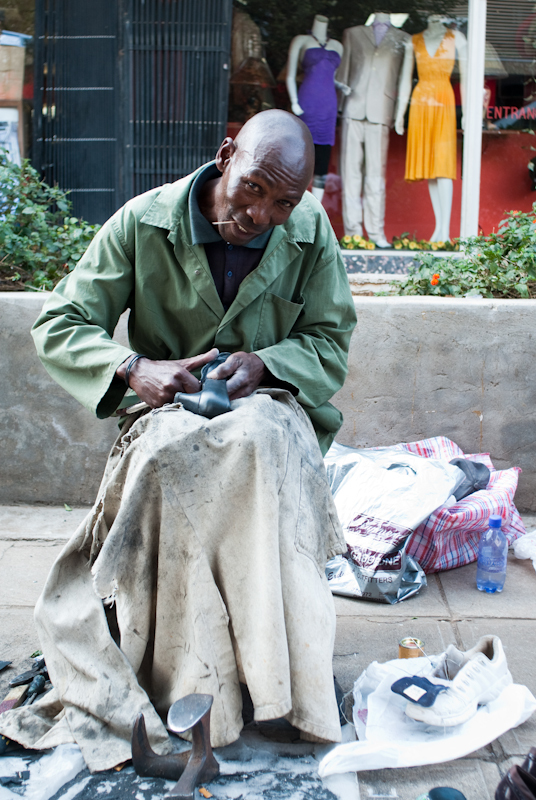 This shoe cobbler allowed me to take his photo while doing his thing; I love the way he looked up and smiled at the camera. 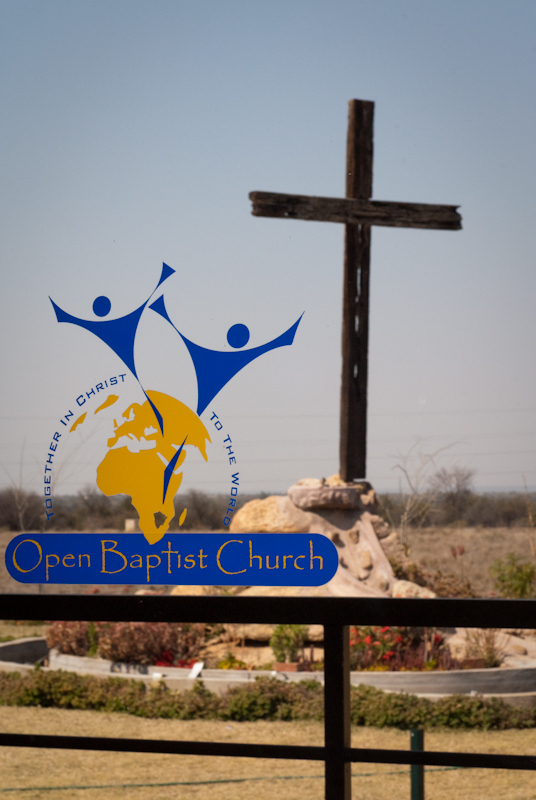 That evening we were back at Open Baptist Church for more food and to meet with the OBC team and David Glenn to discuss the plan for the FamilyWise conference the next day. Go check out Jamie’s blog; she has our first day in Botswana posted there too.